Calling all cookie lovers and tractor fans! That’s right–we’re bringing the farm to you this holiday season with this delightful storybook for children ages 4-8. CASEY’S BRIGHT RED CHRISTMAS. In a fabulous new series, we spend the holidays on Happy Skies Farm with Casey, Tillus and friends and their beloved farm. But there’s so much to do with regular farm chores, plus decorating, cocoa and carols, that the task seems almost impossible…and where’s Casey? 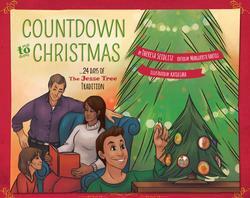 Readers will delight in the bright, colorful illustrations, as well as the classic message of slowing down to enjoy the festivities. Oh, and that cookie? Well, there’s a lovely frosted sugar cookie recipe at the back of the book…cause ya know, all of those farm chores sure works up an appetite! Got a farm guru on your hands? How about a little person who loves tractors, combines, and cultivators? Maybe you live on a farm?! Check out the rest of the fabulous titles from Octane Press. Holly Dufek has spent nearly 15 years writing and working with educational curriculum for publishers such as Holt McDougal, National Geographic Education and Riverside Publishing. 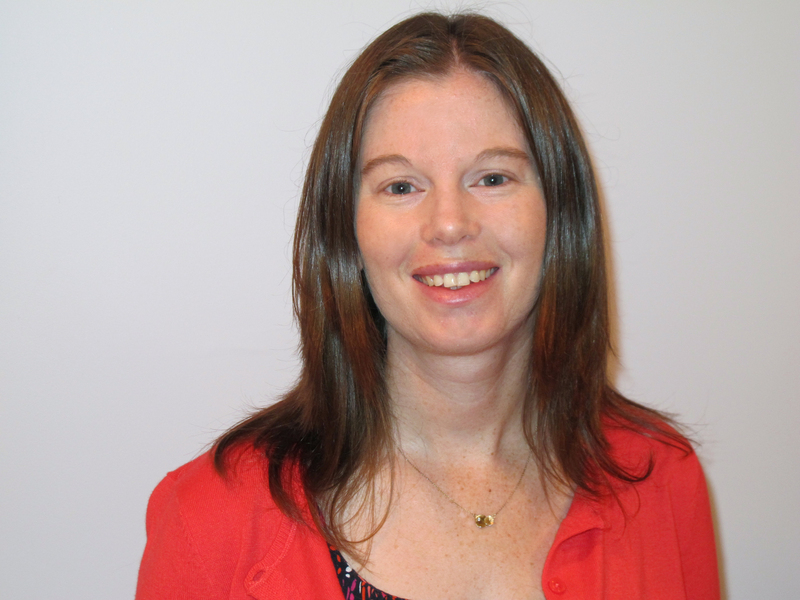 Holly has worked to develop content to enrich the National Common Core Standards for elementary through high school classrooms. She holds a master’s degree in Education and lives in Kenosha, WI, with her husband,Matt, and their three children. Today, I am honored to have bestselling author-illustrator duo Deborah Diesen and Dan Hanna with us to have a merry little chat. Deborah Diesen: The story grew out of an actual pout! One day many, many years ago, when my elder son was a preschooler, he was having a very grouchy afternoon. Hoping to amuse him, I made an exaggerated pouty face at him. He smiled and then pouted right back, which got us both laughing. “We look like fish,” I said. “Like pout-pout fish!” As soon as I said that out loud, it became a story idea. I jotted the idea down and I started writing The Pout-Pout Fish that same day. Years later, I started sending the story to publishers, and in 2005 it was accepted at Farrar, Straus & Giroux Books for Young Readers. The book was published in 2008 and began a series of stories, all featuring Mr. Fish, his friends, and their adventures. L.L>: What is Mr. Fish up to now? Does he have a case of the “dreary wearies” in the latest book, too? 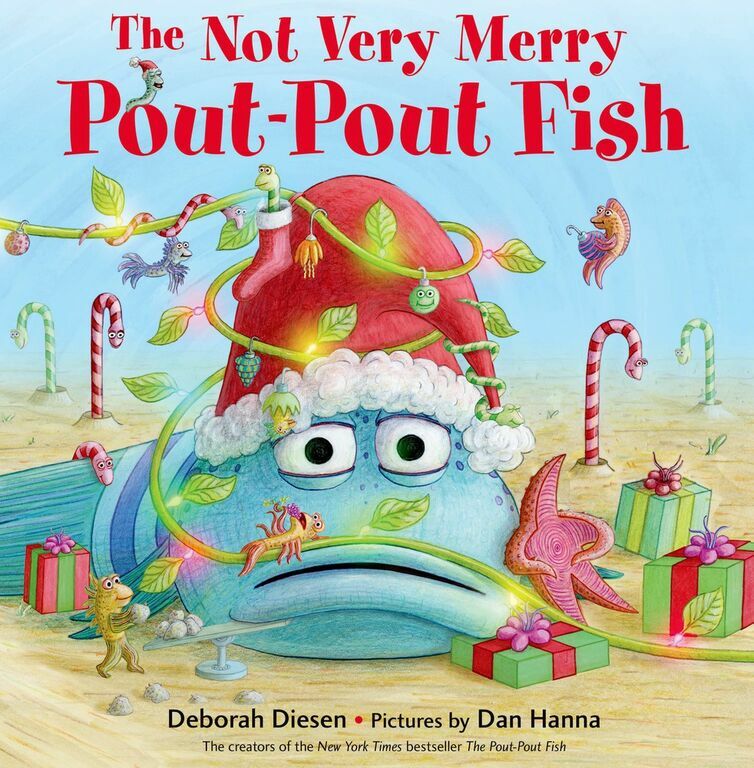 L.L: What do you hope young readers (ages 3-6) will learn from The Not Very Merry Pout-Pout Fish? Is there a message here for grown-ups as well? be expensive or complicated or splashy. Simple, heartfelt presents that connect us to one another are the best gifts of all. A drawing; a craft project; time spent together; even just a smile! These sorts of gifts are the most cherished and the most enduring. It’s a lesson we grown-ups have to re-learn periodically as well. L.L. :Do you have any tips for parents of toddlers about the joy of giving presents, rather than just receiving them, this holiday season? Growing up, I think Dr. Jessica and I could have been fast friends…if we pulled ourselves out of our shells long enough to actually talk. As a self-proclaimed shy nerdy girl, Jessica Vogelsang loved books and dogs and had very little interest in what was fashionable: Velcro tennis shoes and denim jean jackets bedazzled with puffy paint. ALL DOGS GO TO KEVIN is a beautiful legacy to her gifts: storytelling, caring demeanor toward animals, and her practical approach to veterinary science. I laughed, I cried, I nodded my head knowingly as I read through each story, from Dr. V’s early “nerd days” to vet school, first clients, early motherhood, and beyond. Yes, there are sad parts of the story, and that’s simply because dogs don’t have life spans near as long as humans, but there’s always, always something they can teach about our lives. In the end, it’s the dogs that make us better humans. Dr. Vogelsang is the founder of the website Pawcurious.com, and her writing has been featured on Yahoo! and CNN, as in Ladies Home Journal, People, Outside magazine, and USA Today. Today I am thrilled to have Dr. V. on the blog couch. Along with her golden retriever, of course. Leslie Lindsay: Thanks so much for being with us today, Jessica! I finished the book last night with a basset puppy on my chest. I’m working now so she can sleep (ha! ), so we’re a bit on borrowed time. Tell me how you came to the idea of writing ALL DOGS GO TO KEVIN, was it dogs and your experience as a vet, or was it Kevin who inspired you? A little of both? Dr. Jessica Vogelsang: I grew up on James Herriot, so writing a book was always something I had wanted to do. But in a circuitous way Kevin also played a role in it. He pushed me to start a blog in 2009, and although I wasn’t into that idea I did think writing a blog would be ok. He’s also the one who came up with the name pawcurious, which I thought was a terrible name. Glad I trusted him! L.L. : I love at the end of ALL DOGS GO TO KEVIN you talk about how Kevin was very much “like a dog in human’s clothing—full of love, brimming with life, and gone all too soon.” What words might you share with someone who is grieving the loss of a pet? Dr. Jessica Vogelsang: I think it’s important for them to know it’s ok. It’s so normal, and we are so abnormal as a society in the way we expect people to be ashamed of their grief. I would encourage them to talk about their pet and their grief, and if they aren’t surrounded by supportive people, to find some online. L.L. 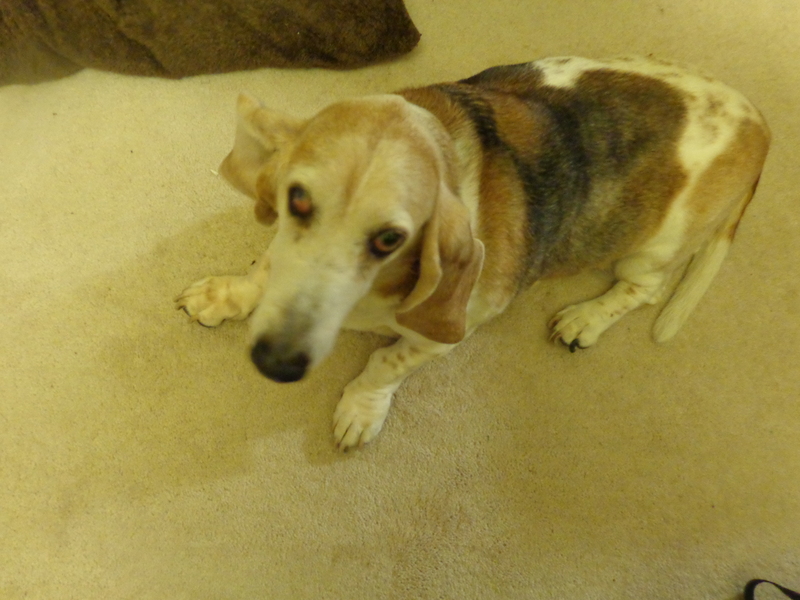 : And now you are providing in-home hospice care for dog and cats. What a smart, touching way to use your gifts Can you tell me more about that, please? Dr. Jessica Vogelsang: I sort of fell into hospice when I was writing the book. When Kekoa needed to be euthanized, I called on a friend to come to the house. She asked me a little while later if I might be interested in working with her practice, and I thought I might be willing to give it a try although the idea weirded me out a little. Now that I’ve been doing it for several years I can’t imagine doing any other kind of work in the field! L.L. : My 8-year old has wanted to be a vet since she could say, “doggy doctor.” I know getting into vet school is not exactly easy. What advice might you give to those who want to pursue a career in veterinary medicine? Dr. Jessica Vogelsang: Go into it with a full understanding of the emotional toll it may take on you. Students these days are graduating with an unprecedented amount of debt and an insecure job market. I don’t say that to discourage people from the field, but I would make sure they understand the financial implications. There are so many ways to work with animals- you don’t have to limit yourself to a DVM! L.L. : Can you talk a little about your journey to becoming a published author? How might it compare to vet school? They are very different and yet very much the same for me, in terms of me doing it the wrong way. When you write a book, the traditional path is write the book, find an agent, find a publisher. I did it in the exact reverse order. I was very fortunate to have an extremely hands on agent in Steve Troha, who helped me formulate my idea for the book. My editor Emily Griffin at Grand Central was such a supportive champion for the book. I have no idea how I would have gotten it done without them! It truly was a team effort. Sort of like vet school in that regard too- you are responsible for your own outcome, but the support of your colleagues is what keeps you afloat. L.L. 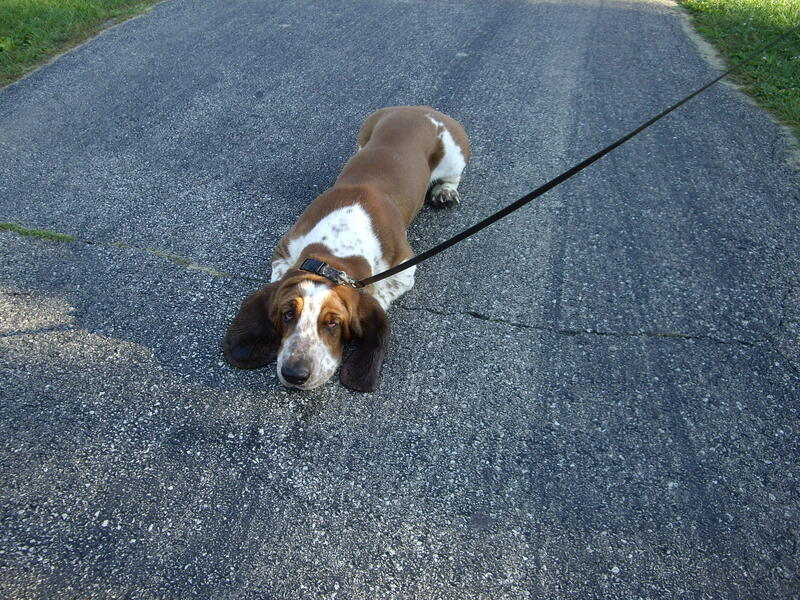 : I’ve been enamored with the low-slung, comically defined basset hound for years. Can you tell us any funny basset hound stories? Dr. Jessica Vogelsang: You know, I really didn’t see too many of them where I lived and worked! They are not a hugely popular dog in San Diego. On the rare occasion we did get one in we would take bets on what it was in for: ears or skin issues. Usually it was both. Dr. Jessica Vogelsang: Catching up on my reading! I took such a long break while I was writing the book. I am reacquainting myself with the works of Stephen King and having a grand time doing so. I really feel like reading a ton is the best way to get better at writing so I can excuse this effort as work-related. L.L. : What might I have forgotten to ask about that I should have? 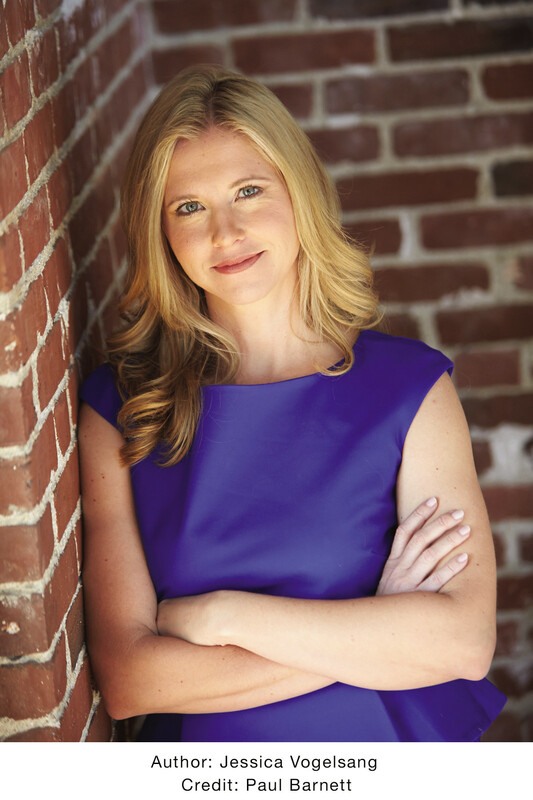 Dr. Jessica Vogelsang: What’s the next book! And the answer is I don’t know. I have two ideas in mind I need to mull on. Stay tuned. L.L. : Thanks so much for such a fabulously fun and touching read. 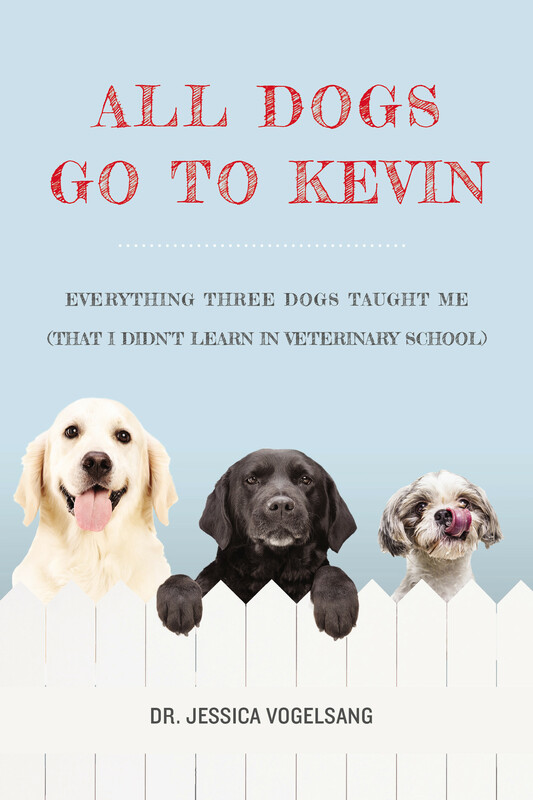 I’m recommending all vets-to-be, vets, and dog lovers read ALL DOGS GO TO KEVIN! Dr. Jessica Vogelsang: Thank you so much! Dr. Jessica Vogelsang is a veterinarian, mother, and big-time dog person. She worked in emergency and small animal medicine before settling into her current practice in San Diego providing in-home hospice care for dogs and cats. She is the founder of the website www.pawcurious.com. Visit Jessica at www.drjessicavogelsang.com. 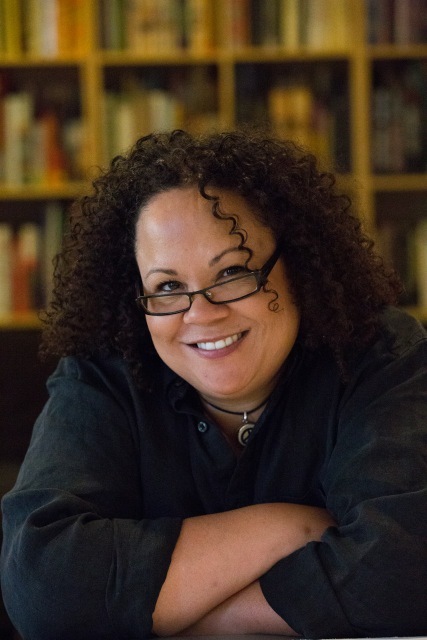 Her writing has been featured in or on Yahoo!, CNN,Ladies’ Home Journal, People Pets, Outside magazine, and USA Today. Run, don’t walk to your nearest bookstore and GET THIS BOOK! 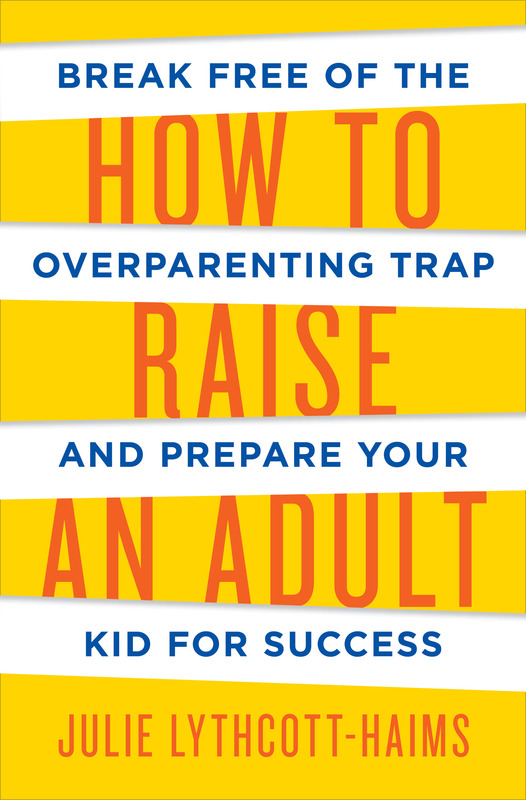 It’s Malcolm Gladwell meets Paul Tough meets Madeline Levine in a fresh, timely take on raising excellent adults from former Stanford freshmen admissions dean and parent Julie Lythcott-Haims. Never preachy, and oh-so-relatable Lythcott-Haims is spot-on with her approach to parenting, over-parenting, and preparing your children for the adult world. Julie gets it–she’s a mom raising her two (now) teenaged children in Silicon Valley where it’s customary for kids to have most of what they want, thanks to high-powered and successful parents with seemingly endless resources. With compassion and empathy, Lythcott-Haims takes parents through the minefield of raising kids to be independent, and how that is, in fact, the best way to honor and support your children’s individuality. Brimming with research and laid out in a manner all parents can appreciate, HOW TO RAISE AND ADULT is a deeply informed narrative, which reads as if you’re chatting with a good friend over coffee. You’ll come across cringe-worthy anecdotes of parental over-involvement gathered from the author’s observation and interviews with parents, teens, educators, coaches, and more. HOW TO RAISE AN ADULT is about letting your children fly while offering them stepping stones to critical thinking, problem-solving, and resilience. 1. For better or worse, eighteen is not the magical age at which a child becomes an adult; ADULTHOOD is more than just a number. So what does it mean to be an adult? On page 145, Lythcott-Haims offers a response to this question with the help of Professor William Damon, who states that “an adult social role is one that is intrinsically not about you.” Do you agree or disagree with this definition? How would you define adulthood? 2. As Lythcott-Haims discusses in her introduction, parenting styles, values, and methodologies in the United States have changed through the years and between generations. Does (or will) your parenting style differ from that of your own parents? In your lifetime, have you noticed a broader shift in the ways we, as a culture, think about and practice parenting? 3. In the twenty-first century, TECHNOLOGY influences nearly every facet of our lives, including the ways in which we parent. On page 14, Lythcott-Haims presents the following examples of how technology has affected parent-child relationships: “Take, for example, the mother of a Beverly Hills high schooler who insisted her son text her hourly on his way to and from a beach outing with friends. . . Or the Stanford parent who contacted the university to say he thought his daughter was missing because he hadn’t heard from her in over a day.” How does technology play a role in the way you parent (or plan to parent)? Is the ability to be in constant contact a blessing or a curse? 4. As parents, it pains us to see our kids get hurt, or fail, or face ANY VARIETY OF DISAPPOINTMENT But Lythcott-Haims argues that the experience of failure is key to building resilience in children and young adults. To what extent, and in what ways, is failure a necessary crucible for growth? At what point, if any, should parents intervene to prevent struggle? 5. Developmental psychologists generally agree that there are FOUR TYPES OF PARENTING: authoritative, permissive/indulgent, neglectful, and authoritarian. These types are diagrammed on a Cartesian chart on page 146. If your parenting style were a plot point on this chart, where do you think it would fall? Has its position changed over time? 6. There are numerous examples throughout How to Raise an Adult of parents who become exceedingly INVOLVED in their children’s schoolwork and responsibilities—sometimes through college and even beyond, into their children’s professional career. Is it ever appropriate or acceptable for parents to assist their children with schoolwork? College applications? The job search? 7. On pages 81 to 83, Lythcott-Haims proposes a CHECK-LIST OF LIFE SKILLS that any self-sufficient eighteen-year old should be able to exhibit. Do you agree with the contents of this list? Are there skills or behaviors that you think should be added to or removed from the list? 8. On pages 166 to 174, Lythcott-Haims describes a 4-STEP STRATEGY FOR TEACHING LIFE-SKILLS: 1) first we do it for you, 2) then we do it with you, 3) then we watch you do it, and 4) then you do it completely independently. She acknowledges that the third and fourth steps are often the most difficult for parents to carry out, and require an enormous leap of faith. In your experience, why is it hard for parents to stand back? What are the fears and hopes involved, and how can a parent mitigate them? 9. One of the book’s major concerns is the PRESSURE that young people feel—to get straight As and perform well in extracurricular activities, and ultimately to gain admission to top-ranked universities and to obtain job offers from well-known companies—and the harms to mental health that result from this pressure. To what extent is it possible for individual parents to encourage effort and striving, and to reward achievement, without risking their children’s mental health and without fueling the “brand name brouhaha,” as Lythcott-Haims calls it on page 248? In what ways does our current collective value system resist individual efforts to turn the tide? 10. As discussed in Part 4 of the book, over-parenting not only negatively affects our children, but often places undue STRAIN ON PARENTS themselves. How does your parenting style affect your stress levels and your sense of self? So…have you made it to the bookstore yet? Let me know your thoughts! Bio: I am deeply interested in humans – all of us – living lives of meaning and purpose, which requires figuring out what we’re good at and what we love, and being the best version of that self we can be. So I’m interested in what gets in the way of that. I wrote this book because too many adolescents and young adults seem to be on a path of someone else’s making, while being subjected to a lot of hovering and lot of help to ensure that particular path is walked, all in furtherance of a very limited and narrow definition of “success.” I come at this issue from the dual vantage points of former university dean and parent of two teenagers, and with great empathy for humans. I majored in American Studies at Stanford University (1989) and studied law at Harvard (1994). I practiced law in the Bay Area in the 1990s before returning to Stanford to serve in various roles including Dean of Freshmen, a position I created and held for a decade. In my final three years at Stanford I was Associate Vice Provost for Undergraduate Education and Dean of Freshmen and Undergraduate Advising, and in 2010 I received the university’s Lloyd W. Dinkelspiel Award for “creating the atmosphere that defines the undergraduate experience.” Since leaving Stanford in 2012 I’ve been pursuing an MFA at California College of the Arts in San Francisco. 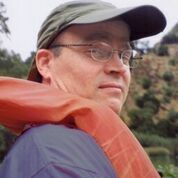 In addition to non-fiction I write creative non-fiction, poetry, short stories, and plays. My work has appeared on TEDx talks and in the Chicago Tribune, Forbes, The New York Times, Slate.com, Time.com, and Huffington Post. I live in the San Francisco Bay Area with my husband, our teenagers, and my mother. [Special thanks to Leslie Brandon at Henry Holt & Co. for this review copy. Discussion questions retrieved from Ms. Lythcott-Haims website]. BooKs on MondaY: Drs. Anne Cunningham and Jamie Zubilsky on their new book BOOK SMART! 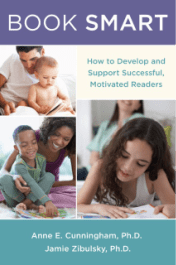 I am in absolute awe of this amazing book on reading with your children, aptly titled, BOOK SMART: How to Develop and Support Successful, Motivated Readers. Think back to your own childhood: do you have a special memory with a caregiver and a book? Perhaps you curled up into a grandparent’s lap with a dog-eared copy of nursery rhymes. Maybe you escaped into a popular series as a grade-schooler. Do you recall *your* favorite childhood book? BOOK SMART will touch on nostalgia while presenting a fabulous array of research in parent-friendly terms, while offering ideas for increasing the love of literature at home, being tech-savvy, and so much more. I am honored to have Drs. Anne Cunningham and Jamie Zibulsky with us to tell us more. Leslie Lindsay: Welcome and thank you for being with us today, Anne and Jamie! I understand you two are passionate readers, have been for most of your lives. I really resonated with Jamie’s story earlier about how she and her father would cozy up with a book—and Anne’s family thrived on a print-rich environment with a bevy of magazines, books, and newspapers at her disposal. 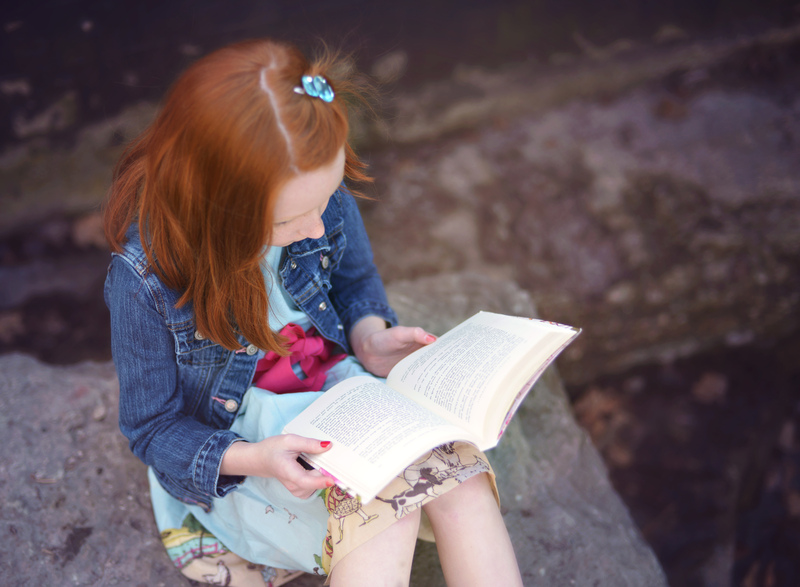 What is it about reading as a child that develops passionate, life-long readers? Dr. Jamie Zibulsky: That’s a great question, and one that I can’t help but answer in multiple ways. From a research perspective, there are studies that have shown that factors like a caregiver’s motivation to read or their knowledge of children’s books is a good predictor of a child’s future reading success. It makes sense that this is the case because we know that children imitate behaviors they see important people in their lives engaging in, and then eventually internalize the values associated with those behaviors. I think it’s also important to answer this question from a more personal perspective too, to give an example of what these findings mean for any one child. When I was a kid, I remember how wonderful it felt to get time alone with one of my parents and how grown-up it felt to pick out a book to share with them. Getting a chance to bond with my parents, who both were readers themselves, was one of the initial reasons that I became an enthusiastic reader. However, even though being able to spend time with adults I loved and getting attention for liking books helped me get started on the path to becoming a lifelong reader, these extrinsic rewards eventually became less important than reading for its own sake. I remember how much I loved hearing about the life of Laura Ingalls Wilder and trying to picture what I would have done if I lived during that time period – her books gave me a chance to learn about a time and place that was new to me, but also normalized some of the feelings and experiences I had growing up (by sharing stories about sibling rivalry, for example). To recap, what we know is that having good reading experiences with a caregiver early on in life makes it more likely that a child will both develop strong skills and also develop enthusiasm for reading. This sets up a feedback loop where kids with better reading skills, more motivation to read, or who spend more time reading end up likely to have all three of these attributes as they get older. L.L. : I love how BOOK SMART has so many wonderful graphics—charts, especially—busy caregivers can quickly glance, find a literacy activity, and implement it. Can you expand on this feature of the book? Dr. Jamie Zibulsky: We’re so glad that the graphics seemed helpful to you! We added this feature for just the reason you mention – we know thatcaregivers of young children are busy and wanted to craft a book that could be useful to a mom who was trying to strengthen shared reading time at home while also working, planning meals for a family of five, or juggling any of the other challenges that come along with parenting. We wanted to make sure that the strategies we talk about in Book Smart were easy to use and that someone could read a chapter and immediately have an idea of how to put the ideas they read about into practice. So, each chapter ends with a list of activities appropriate for kids of a variety of ages that are described briefly. Our hope is that it is the kind of list that motivates caregivers to try a new literacy activity out in the car or during a meal the day after they read about it, because one of the key ideas that we are trying to convey throughout the book is that very simple activities can lead to powerful changes for kids. L.L. : Let’s talk about technology a bit. There’s plenty of opportunity to *not* read books, sadly. How can caregivers and children still work in the iPad/tablet, Kindle, and other electronic devices, but gain valuable book skills? Dr. Jamie Zibulsky: You’re right; there are so many other activities that compete with reading time these days. And it becomes harder and harder to limit young children’s exposure to technology as families begin to own multiple smart phones and tablets. The rule of thumb we suggest that hopefully makes sense to most families, regardless of what their philosophy is on technology, is that tech tools should *supplement* rather than *replace* reading time. What that means to me is that technology can’t substitute for a caregiver – kids need that time sitting with someone, getting cuddles and talking about the pictures in a book together, in order to become a successful, motivated reader. But if there is a time of day when it would be difficult for a caregiver to read with a child or a time when a child already protests about reading independently, that might be a time of day when it’s appropriate for that child to play a rhyming game online or read a magazine on the Kindle. Many kids do find reading online or downloading a new app exciting, so harnessing that enthusiasm is a way that we can help encourage reading during times when a child might have previously been using technology for a different purpose. L.L. : One thing I really liked in the book is the idea of specific praise versus this idea of ‘blanketed praise.’ That is, not telling your child she is smart (even if she is), but instead offering specific phrase, “Great job thinking of another word for cold.” Why is this so important? Dr. Anne Cunningham: When global praise is used, and children are told in general terms that they are wonderful, or smart, or a good reader it sets them up for disappointment because no one is always smart in every situation or a good reader for all kinds of text. That means at some point, even very skilled children will think something like, “Hey, Mom said I was a great reader, but I had so much trouble understanding the story today. I guess I’m not a good reader anymore now that I’m in fourth grade.” However, when a parent or caretaker uses specific praise such as ‘’Even though that story was difficult to understand, you kept at it and asked questions about the plot,” to praise the persistence and specific problem solving skills that their child displayed, their child is better prepared to tackle difficult or novel problems or issues in the future. We want to give kids praise that they can apply to future situations, which generally means focusing on their effort rather than their ability. L.L. : We often find books that touch on a problem or a worry we’re experiencing at home. Can you give us some examples of how books help act out social situations and challenges, and what caregivers might do to enhance this aspect of shared literacy? 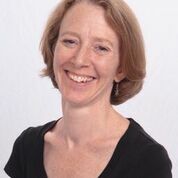 Dr. Anne Cunningham: As we describe in the book, there are many benefits of reading, most importantly perhaps, is that reading helps a child relate to their surrounding world and encourages empathy and interpersonal skills.So often we tend to think of reading as primarily an activity meant to enhance children’s academic skills. And we tend to forget that reading is built on a shared understanding of the world and can help our children build background knowledge and discuss their own life experiences with their caretakers. Shared reading can provide models for coping with difficult situations, opportunities for understanding the lives of people who are very different from us, and serve as a source of comfort. For example, when my son was young, we often read stories about adventure and fantasy. But we also read stories about children who experienced teasing or bullying in school. These stories demonstrated to him that other children have similar feelings when confronted with comparable circumstances and gave me a way to introduce this topic to him without having to directly bring up his own experiences first. My son also learned that he was not the only one who experienced such trying dilemmas, but other children encountered them as well. Through stories, caregivers can help their children identify and validate their feelings, stimulate discussion and foster thought and self-awareness about challenging social situations and help them discover possible coping skills and solutions. L.L. : Can you offer some suggestions on how parents and caregivers may help increase print awareness at home? Dr. Anne Cunningham: Parents and caregivers can help increase print awareness at home by creating an environment, both physical and verbal, that emphasizes words and language. At a physical level, having books and other print material around the house facilitates access to print. Additionally, by labeling common objects (for example, door, table, etc.) children begin to see words all around them and to make the association implicitly that print carries meaning. At a verbal level, parents and caregivers can “flood” their children with language, for example by describing situations in detail such as how they are going to make a sandwich and all the steps and ingredients involved. These verbal labels and steps can then be paired with their physical representation such as the “Smucker’s raspberry jam” label. Parents and caregivers can help increase print awareness by building upon their child’s interests in a topic. Stocking books that match their child’s own interests will spark their enthusiasm for reading and increase print awareness. Dr. Jamie Zibulsky: It’s so funny that you asked this question now, because I have been thinking about this topic a lot in the past few weeks. My son, who is fourteen months old, just recognized – for the first time – that his name is written out both on a step-stool in our house and in letter magnets on the refrigerator. When he ran back and forth between the two versions of his name and pointed at the letters, I basically jumped up and down with joy, because it demonstrated how powerful it can be to do just what Anne is describing above. I’ll be giving some more specific strategies for increasing print awareness in very young children in a blog post at PsychologyToday this week. L.L. : Finally, what might be your ultimate wish for children and their success with literacy? Dr. Anne Cunningham: I can imagine no better wish for children than for them to experience and know the joy of the nighttime ritual my mother taught me many years ago and I have passed down to my son—to tuck myself into bed with a book and, from the comfort of my own home, explore new worlds with new friends who nurture and expand my mind and spirit. Dr. Jamie Zibulsky: I agree with Anne wholeheartedly, and wish for all children to have this opportunity and experience. We know that there are so many aspects of reading success that require caregivers and teachers to provide support to young children and that environment matters so much. I hope that we continue to invest in ways to make reading possible for all families and communities. L.L. : Thank you so much for spreading the word with us, Jamie and Anne! It was a pleasure. Dr. Anne Cunningham: Thank YOU! Dr. Jamie Zibulsky: Thanks for having us. Check out the BOOK SMART website here. Parents these days are inundated with a host of “Brainy Baby” products from DVDs to flashcards, educational toys, and so much more. Do they really work? Dr. Stephen Camarata debunks many of the myths of these so-called brainy products, and shares that what these babies really need above and all is their parents. Engaged, supportive, and tuned-in parents. THE INTUITIVE PARENT (Penguin/Current, 2015) is a must-read for any new parent just starting out who desires to raise life-long learners. Dr. Camarata, a Vanderbilt University Professor and “veteran” parent himself, (having raised seven children; now grandfather to three), he holds an advanced degree in developmental psychology and has done much of his clinical work in late-talking children. 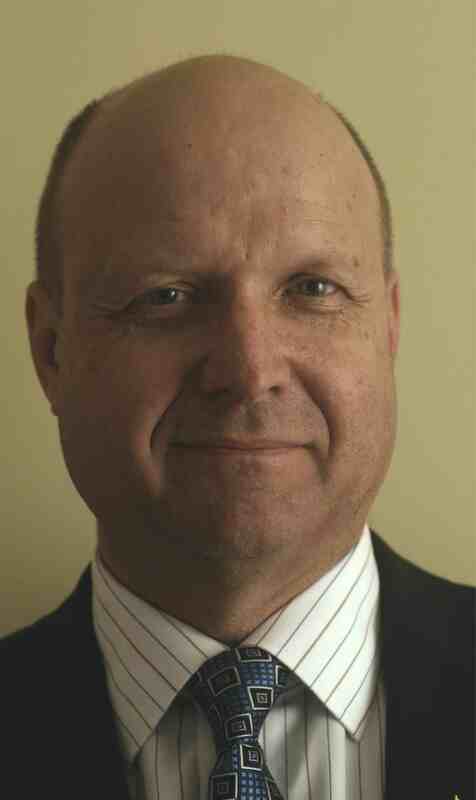 I’m honored to welcome Dr. Camarata to the blog. Leslie Lindsay: You take on the marketing frenzy of “Brainy Baby” type products in THE INTUITIVE PARENT, suggesting that all of these DVDs, products, and flashcards don’t really work—how can they, they’re just 2-dimensional products after all—instead, you recommend getting back to basics: smiling, talking, and playing with your child(ren). Can you expand on that, please? L.L. : Life is busy. Many households have two working parents, a whole host of other commitments, and outside pressures. How might we ‘slow down and smell the flowers’ when it comes to raising kids? Will popping in a DVD or allowing our 2-year old play with the tablet/iPad really be detrimental? Dr. Camarata: Life is indeed quite busy and a baby makes it even more wonderfully full for families! 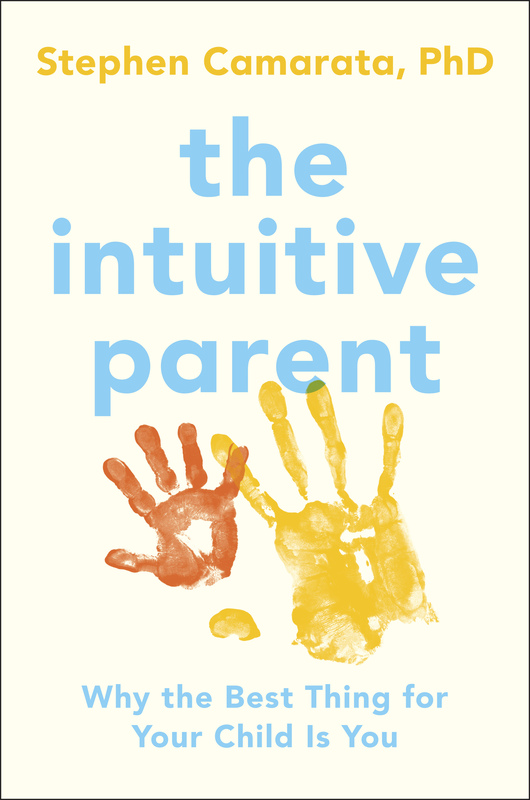 The point of “The intuitive parent” is to empower parents to make positive choices—in tune with their inner parenting voice—to nurture their children. Sadly, there is an ongoing myth in today’s society that computer apps, DVDs and flashcards are better than human parents for “wiring a child’s brain.” In truth, parents are far better than any screen activity for activating neural plasticity and raising a confident, smart, well-adjusted child. When given a choice between talking to and playing with a child, pounding flashcards or plugging in an “educational DVD,” playing and talking win hands down in terms of what is best for your child—and their developing brain. Even if you only have a few precious moments while trying to juggle the demands of a busy schedule, play and talk with your baby whenever you can. Although it is clear that screen time is in no way superior to mommy time or daddy time for a baby’s developing brain, including a screen as one would a book or letting a child enjoy a favorite show on DVD while parent’s are otherwise busy is not harmful. It is normal and natural for children to spend some time on their own and parents should make an active choice regarding what their child watches. This should be a limited amount of time and NOT the primary source of knowledge for a child. L.L. : I still prefer paper books and email to texting. But this is a technology-driven society we live in. Where does technology and your model of intuitive parenting meld? Dr. Camarata: Technology is indeed an integral part of our society and can readily incorporated into intuitive parenting activities. As you mention, one can read a physical book or an ebook: Parents can cuddle with their child and read an ebook exactly in the same way they would a regular “old school” book. The key is to integrate the technology, ebooks, DVDs and computers into INTERACTIVE episodes. Rather than turning a child’s brain over to technology, parents should be playing and talking while using the technology. Watch a DVD together, pause the video from time to time and ask questions. What do you think will happen next? What did they find? How do they feel? And so on. 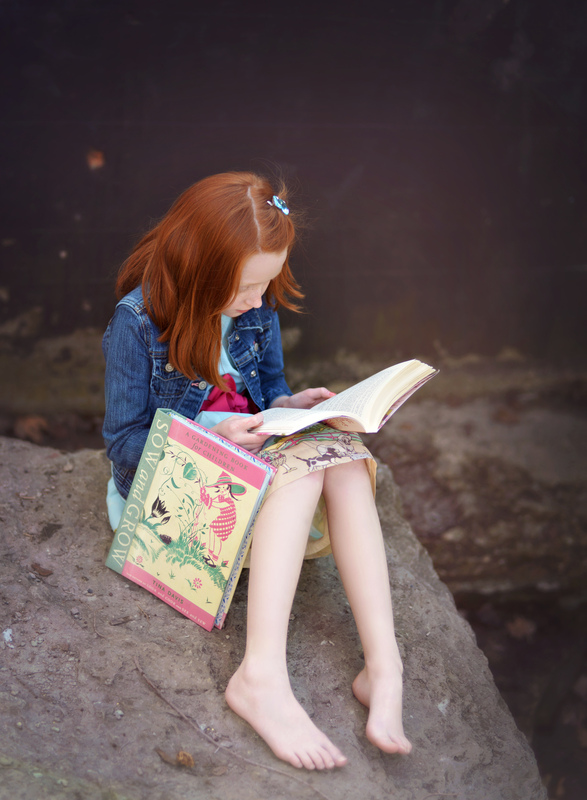 No one expects a book, by itself, to teach a child how to read, it is a learning tool. Technology should be treated the same way. L.L. : I have to say, I really do love the suggestions in THE INTUITIVE PARENT, which I think we can boil down to this: be present, let the child(ren) take the lead when it comes to her play and interests, and be playful yourself. How is this different than free-range parenting? Dr. Camarata: Free range parenting is a laissez faire style that essentially leaves the fate of your child in the hands of a cold hearted Darwinian “survival of the fittest” outside world. Parents are encouraged to disengage from their child, give them space and let them learn on their own. To be sure, I am exhorting parents to let their child lead in terms of choosing activities, trying and failing and trying again rather than being led through development. But, rather than distancing themselves from their child, intuitive parenting actually means interacting more, responding more, and spending time with your child. A free range parent might turn their child loose on the New York subway system without supervision. An intuitive parent would go with their child, but allow her to buy the tokens, select the train and destination and so on. The intuitive parent would also let a child make mistakes (for example, get on the wrong train) without scolding or being judgmental while allowing her to learn form her mistakes. An intuitive parent is also in a position to debrief their child after the trip and also ask questions about how their child arrived at the decisions (right or wrong) they made during the trip. Perhaps more importantly, intuitive parenting conveys the benefits of free range parenting without the risk. L.L. : I have to ask about late-talking kids. Being a mother of an older daughter with childhood apraxia of speech (CAS), this is something I struggle with even now that she’s 10 years old and considered “resolved.” I think it’s the guilt that seeps in—“I caused it, I didn’t talk to her enough as a baby, didn’t get the help she needed,” etc. Of course, now I know this is not the case, but when I was in the thick of it, I didn’t know what else to believe. What advice might you give to parents who are struggling with speech and language concerns in their older infants/toddlers? Dr. Camarata: First, let me say that I am delighted that things turned out well for your daughter! Parents often do have guilt about their late talking child and some professionals mistakenly add to this guilt. The truth is that parents do not cause late talking. Sadly, some well meaning—but misinformed—professionals, friends or even family members may say things like “you should have talked more to her when she was a baby!” or “you should have gotten help sooner!” These comments can be hurtful and actually are not accurate. Parents talk a lot to their babies and young children, some more than others, but always more than enough to help their child learn to talk. Lack of input is definitely not the cause of late talking! With regard to early intervention, it can certainly be beneficial. But the wrong kind of treatment may not be helpful and, in some cases, can be harmful. For example, treatment for autism may not be effective for other forms of late talking. Treatment for apraxia won’t help autism or other language disorders and so on. My advice to parents of late talking children is have a medical evaluation from the pediatrician or family physician and then to seek an accurate differential diagnosis to determine whether their child is likely to simply “grow out” of the late talking or whether it is a speech disorder such as apraxia, a language disorder, autism, intellectual disability or some other condition associated with late talking that requires treatment. Do not go to a clinic or a professional that applies a “one size fits all” label such as Autism Spectrum Disorder (ASD) and then funnel their child to a one size fits all treatment. Be forewarned that there are many “snake oil” treatments out there that take advantage of parents’ anxiety and guilt. Finally, no matter what, do not forget to play, interact and enjoy your late talking child. No matter what, do not let guilt and anxiety crowd out those precious parent-child moments. L.L. : How can we learn from our kids? Dr. Camarata: There is some much we can learn. I find it especially interesting to learn about what they are thinking and why. When my second daughter was four, she noticed that my hair was thinning. She asked me whether this was because I was thinking so much that the heat from my brain was causing the hair to die and fall out. What an intriguing idea! Intuitive parents tune in to their child, and learn about of their own unique personality. Are they easy going or more intense? Do they like puzzles and numbers or stories and imaginary friends and creatures? It is so much fun to discover your child’s way of seeing the world. But perhaps the most important lessons our children teach us is to enjoy the moment. Child are quite resilient and become deeply engaged in their play—and in their imagination. As a parent, being with my children—and now grandchildren—literally melts away the worries of the outside world as I leave them behind and join children in a world of wonder and delight. L.L. : Thank so much for taking the time to chat with us, Dr. Camarata! It was a pleasure. Dr. Camarata: Thanks so much for your thoughtful questions and your interest in the book! Bio: Stephen Camarata, PhD, is a professor in the department of hearing and speech sciences and a professor of psychiatry at Vanderbilt University School of Medicine. He is a children’s speech expert and the author of THE INTUITIVE PARENT: Why the Best Thing For Your Child Is You. As a mother and someone who is very interested in childhood speech and language, Dr. Suskind’s book THIRTY MILLION WORDS (Dutton, September 8) is right up my alley. Not to mention that I currently live in Chicagoland (where she practices/teaches at the University of Chicago) –and we both seem to have ties to St. Louis. I should be clear though: we do not know each other, professionally or personally; our connection is merely serendipitous. 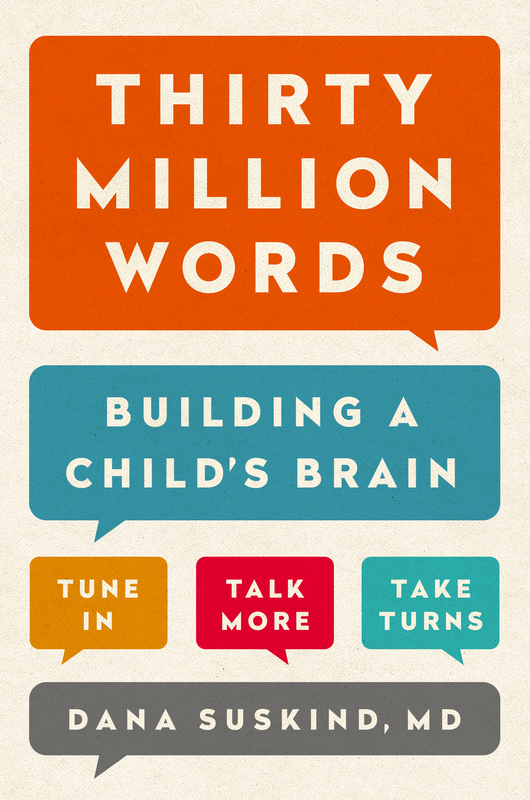 Her initiative, THIRTY MILLION WORDS is important–yet astoundingly simple–talk with your child. Today, I am honored and humbled to have Dr. Suskind with us. Leslie Lindsay: I’m always so interested in what sparks a writer to delve into her chosen topic. I understand you are a pediatric cochlear implant surgeon. What instigated your shift to the social and educational sciences? As I mention in my book, taking the Hippocratic Oath meant that my obligation to my patients doesn’t end when I finish operating; it ends when my patients are well. I knew that it was time for me to step out of the comfort of the operating room into the wider world of social science in order to truly affect a change for our nation’s children. This book describes that transition and its result: the Thirty Million Words Initiative. L.L. : What advice would you give to parents who are raising a child with hearing loss, whether it be mild, moderate, or severe? Dr. Dana Suskind: It’s important to know that the brain development of a child who has moderate to severe hearing loss is the same as that of typically developing children. A rich early language environment makes all the difference. L.L. : Let’s talk about the title of the book. Someone in a waiting room recently noticed the cover/title while I was reading, “So how long does it take to read thirty million words,” he asked. Of course, I had to describe what that term really meant: a University of Kansas study showed that by age 4, kids from wealthy families had heard 30 million more words than low-income families. That’s HUGE! Can you talk about that, please? It’s not 30 million different words, but something else? Dr. Dana Suskind: 30 million words is a metaphor for differences in early language environments. Parent responsiveness and the quantity and quality of parent-child interactions are what really matter – greater variation in vocabulary, more syntactic complexity, asking open-ended questions, eliciting a child’s response. L.L. : I love your stance on television, by the way. So many kids (and parents!) feel as if TV actually teaches, when in fact, it does not. A television does not tune in (views tend to “zone out,”), it does not talk more, and it does not take turns. These are your 3T’s. Can you tell us more about what the 3T’s really mean? Dr. Dana Suskind: Sure. The first 3T, Tune In, is about making a conscious effort to notice, focus, and respond to what your child is communicating. A child who receives constant Tuning In is likely to stay engaged longer, initiate communication, and ultimately, learn more easily. Talk More is focused on building your child’s vocabulary with descriptive words. Take Turns is the most valuable for a child’s developing brain. 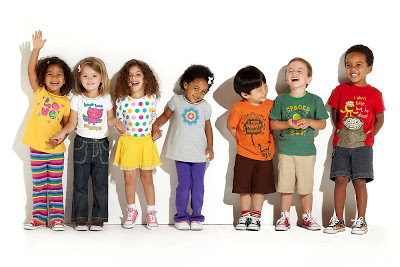 You want to engage your child in a conversational exchange. Using open-ended questions or asking a simple ‘how’ or ‘why’ allows your child to respond with a wide range of words, thoughts, and ideas. L.L. : If you had one wish for parents and children regarding academic and social success, what would it be? Dr. Dana Suskind: Educational equity. And, that all parents truly understand how powerful they are in building a child’s brain. We believe all families and communities deserve access to this life-changing information. That is the overarching goal of TMW and the purpose of this book. L.L. : What more can parents (and educators) do? Dr. Dana Suskind: They can understand that learning begins on the first day of life and not the first day of school. And everyone can help spread this important message to more parents, educators, and policy makers. L.L. : Thank you so very much for taking the time to be with us today, Dr. Suskind…it was much enlightening. Dr. Dana Suskind: Thank you so much for this opportunity to spread the words! 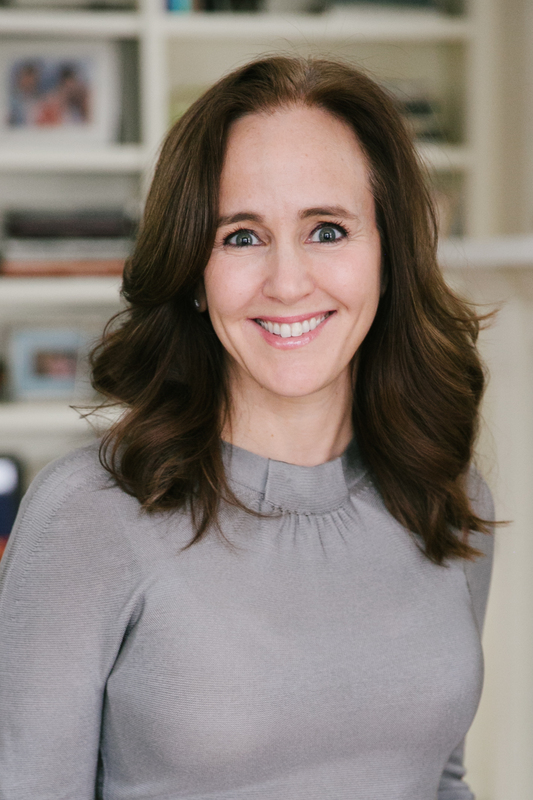 Dana Suskind, author of the book, Thirty Million Words: Building A Child’s Brain, (Dutton, September 2015), is Professor of Surgery and Pediatrics at the University of Chicago, Director of the Pediatric Cochlear Implant Program, and Founder and Director of the Thirty Million Words Initiative. 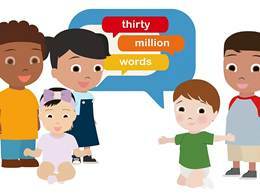 Based on scientific research that shows the critical importance of early language exposure on the developing child, Thirty Million Words helps parents enhance their home language environment in order to optimize their child’s brain development and, therefore, his or her ability to learn. An evidence-based intervention, Thirty Million Words is supported by a broad coalition of public and private partnerships and is an extension of Dr. Suskind’s Project ASPIRE, which she created to assure that her patients from disadvantaged backgrounds reached their full listening and spoken language potentials. 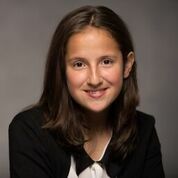 Dr. Suskind’s ultimate goal, and that of her dedicated team, is to help all children reach their full potentials and to close the ever-widening achievement gap. [All images retrieved from the TMW website on 9.11.15. Special thanks to the author and publicists for the review copy and coordinating efforts].